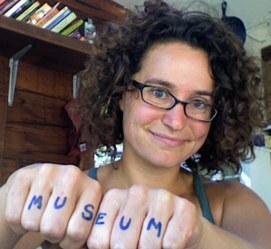 I'm heading this weekend to the American Association of Museums conference in Minneapolis. I'm psyched to spend a few days with friends and colleagues talking about some of the challenges we're grappling with in our work. I'll also be part of two sessions on Tuesday, May 1 - one in the morning about money and business models, and one in the afternoon about prototyping and experimentation. I'm bringing a few big questions with me to AAM this year. If any of these are questions that you are working on or thinking about, I'd love to find some time during the conference to sit down and talk. As I've spent more time in the AAM community, I've developed some really deep friendships--which is good--but it also means that I am less likely to spend much time at conferences with people I don't know. I hope this year that some of these questions can introduce me to new people and new ideas. Event-driven models for museums. About 85% of visitors to our museum attend through a program/event. How prevalent is this? What should we be thinking about as we respond to community demand for events? What role will exhibitions play in this kind of institution? What's the chicken and what's the egg when it comes to events, exhibitions, and museum hours? Participatory history programming. Over the past year, we've found it fairly easy to invent and sustain participatory art and craft projects. We're having a harder time doing the same with history, especially when it comes to drop-in or single-night activities. I'd love to learn more about what other organizations are doing to invite casual, active participation in history. UPDATE! THIS TOPIC IS SO POPULAR THAT WE WILL HAVE A MEETUP ON SUNDAY, APRIL 29 TO DISCUSS. MEET IN CONVENTION CENTER LOBBY B, OUTSIDE THE AUDITORIUM, AT 1:30 FOR A ONE-HOUR INFORMAL DISCUSSION. NO RSVP REQUIRED. TEXT 831.331.5460 IF YOU CAN'T FIND US. Ethics of civic action. My institution is increasingly partnering with local cause-based organizations, especially in the social services. How should we be thinking about the ethics of who we partner with (and who we don't)? How do we deal with the blending of personal and institutional goals when it comes to contributing to efforts to improve the whole community? Working with teams through change. We've undergone a pretty radical transformation over the past year. People (including me) are energized but tired, too. What should I be thinking about as a manager who wants to keep pushing forward but also wants everyone to feel supported and not burned out? Fundraising with a community. Our museum is becoming increasingly community-driven in our programming and the way we engage with visitors on a daily basis. Our fundraising, however, is not moving in that direction. To what extent is it realistic or desirable to broaden our funding base? Should we think of ourselves as a client service organization (where visitors are clients and the support comes from others) or a "by and for the community" organization? This will come up somewhat in the Tuesday 9am Show Me the Money session, but I thought I'd raise it as a general question too. If you want to talk about any of these questions too, awesome. I don't care what type of institution you are from or what your experience is, or even if you are attending the conference. I just care about having good conversations and learning from each other. Sunday April 29 is looking especially good for me for some meaty chats--let me know. Thanks! p.s. If you are interested in interning/working at the Santa Cruz Museum of Art & History and want to talk briefly about that at AAM, I'm open to that too. Last Friday, I witnessed something beautiful at my museum. A group in their late teens/early 20s were wandering through the museumwide exhibition on love. They were in a playful mood, talking about the objects, playing the games, responding on the comment boards. On the third floor, they sat down in our creativity lounge and started making collages. At the adjacent table, my colleague Stacey Garcia was meeting with a local artist, Kyle Lane-McKinley, to talk about an upcoming project. Kyle had brought his baby with him. When I walked by the first time, the teens were collaging and Kyle and Stacey were talking. Next time, everyone was talking. Third time, one of the girls was holding and playing with the baby while Kyle and Stacey continued their meeting. This is a tiny example of social bridging--people making connections to others who are not like them, who have different backgrounds, ages, races, professions, etc. The term was popularized by Robert Putnam in his 2000 book Bowling Alone, in which he differentiates between social capital built through "bonding" with people who are like you and "bridging" with people who are not. I've been documenting lots of small bridging incidents at our museum over the past few months. I don't know what formed the bridge between the artists and the teens in this circumstance. It could have been the baby (one of the girls was clearly pregnant, and a baby is a great social object no matter the circumstance). It could have been the friendly, low-key setting. It could have been the attitude of the museum that supports participation and conversation. I don't know what made it happen. I'm just glad it did--and I want to do whatever I can to make it happen more often. For a long time, I knew I cared deeply about designing from "me to we"--inviting visitors to form social connections through participatory experiences--but I couldn't express a clear reason why. Social bridging is becoming my why. While both kinds of social capital are important (and their growth non-exclusive), there are often many more opportunities for bonding than for bridging in daily life. We bond with the friends we grew up with, the people we work and play with. Even online forums that invite diverse participation tend to hinge on bonding around a key shared interest. At museums, we mostly bond with the friends and family with whom we attend. Social bridging is harder to come by, especially as society becomes more striated. Bridging is essential to building strong, safe, diverse communities. There are few places where bridging happens naturally. If we can make our museum a place that intentionally encourages and inspires bridging, we will make a powerful impact on our whole community. For this reason, at the MAH we try to explicitly bake social bridging into the way we plan programs and exhibitions. We deliberately partner with diverse groups for single events--for example, a February music event had a main stage lineup that jumped from ukelele singalong to opera to hawaiian dance to rock. We tailor the programming blend to diverse ages, making sure no activity is just for kids or adults, no matter how much glue or fire is involved. In exhibitions, we showcase local, first-person stories and objects--from students, roller derby girls, retirees, and homeless families--alongside the art and historic objects. We include comment boards and games that link visitors to each other, often not in real time, through shared stories and experiences. And in program evaluation, we ask collaborators and visitors alike if they met anyone new and how those encounters contributed to their experience. We're just at the beginning of this work. We have a long way to go before we're really making a measurable impact--and we're not even quite sure what "measurable" will look like. We know that most of the bridging that goes on here is surface-level and brief--as in the example of the teens and the baby. I don't know how deep we can expect to go, or whether our role will primarily be as a space that encourages safe, friendly collisions in a community-wide pinball machine. From my perspective, if we can help make our community one in which people walking down the street smile at strangers instead of looking away, we'll be on the right track. I'm excited to explore these topics more with you in the months to come, and I'm curious to what extent social bridging feels relevant and compelling in your own work. Where have you encountered it, what resources help you understand it, and what do you think we should be doing about it? What happened? While not wholly explored, that question reverberates throughout a new book, Blueprint, that shares the plans for the Dutch Museum of National History. The book walks readers through galleries that never existed, and then steps back to tell the story of the project, the underpinning goals, the experimental projects along the way, and the pain in closing. The experimental projects of this museum-in-process included some of the most innovative participatory initiatives I've ever seen, especially in a discipline--history--that is often staid. The book was released just four months after the project was officially canceled. My early skimming suggests that it is very much a "hot" history of a recent event and probably less prettied-up than most accounts of the politics of museum planning. It's about Europe. Most of the books we've explored on this blog in the past focus on museums in North America. A lot is changing in European museums--especially when it comes to money. This book club will work like the others (see the "Book Discussion" keywords on the right to access past ones). Starting a month from now, on Wednesdays, the blog will features a mixture of my thoughts along with guest posts from you reflecting on how the book is useful in your own work. Because it might take a little while for you to get the book, we won't start until mid-May--likely May 16. Get your hands on a copy of the book in the next few weeks. You can buy it here, and yes, it is in English. To order, click the red arrow-shaped button that says "Bestel" on the upper left. Or see Jasper's kind comment below offering to help you buy one. Read it (or a large chunk of it). If you are so motivated, fill out this two-question form to let me know you want to write a guest post or participate in a group discussion about the book. I'll be looking for guest posters who represent different types of institutions, countries, and approaches to the material. You don't need to be a museum professional to be eligible--just a good writer with an interesting perspective to share. For four weeks starting in mid-May, each Wednesday there will be a Museum 2.0 post with a response to the book. I'd like to write one or two of these at the most. The goal is to make the blog a community space for different viewpoints. Happy reading!